Farlowers listen up we’ve got a BIG NEWS ANNOUNCEMENT for you! 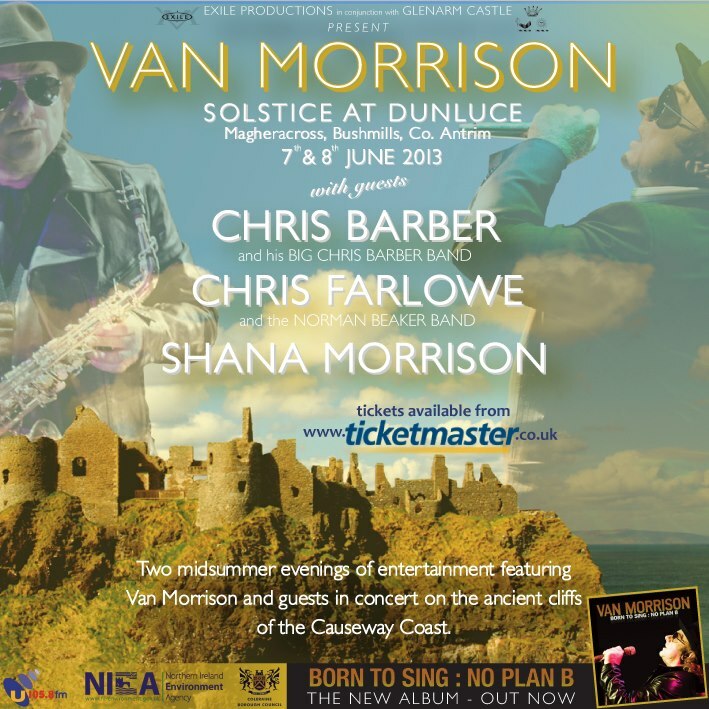 Van Morrison has just announced that Chris and the Norman Beaker Band will be guesting with him for two nights in June at the beautiful Dunluce Castle. More details can be found on Van Morrison’s website and tickets are already on sale here.